Private investigator Cork O’Connor finds himself caught in the middle of a racial gang war that’s turning picturesque Tamarack County, Minnesota, into a battlefield. When the daughter of a powerful businessman dies as a result of her meth addiction, her father, strong-willed and brutal Buck Reinhardt, vows revenge. His target is the Red Boyz, a gang of Ojibwe youths accused of supplying the girl’s fatal drug dose. When the head of the Red Boyz and his wife are murdered in a way that suggests execution, the Ojibwe gang mobilizes, and the citizens of Tamarack County brace themselves for war, white against red. Both sides look to Cork O’Connor, a man of mixed heritage, to uncover the truth behind the murders. A former sheriff, Cork has lived, fought, and nearly died to keep the small-town streets and his family safe from harm. He knows that violence is never a virtue, but he believes that it’s sometimes a necessary response to the evil that men do. Racing to find answers before the bloodshed spreads, Cork himself becomes involved in the darkest of deeds. As the unspeakable unfolds in the remote and beautiful place he calls home, Cork is forced to confront the horrific truth: violence is a beast that cannot be contained. 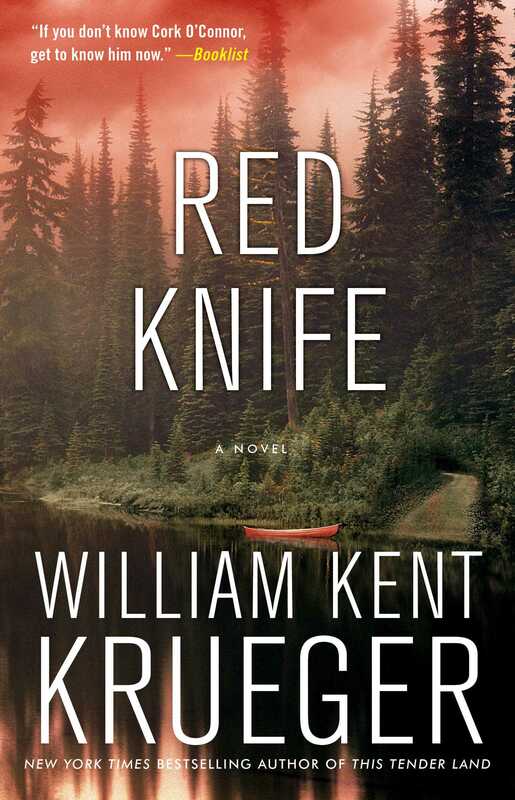 In Red Knife, Krueger gives his readers a vivid picture of racial conflict in small-town America, as well as a sensitive look at the secrets we keep from even those closest to us and the destructive nature of all that is left unsaid between fathers and sons, husbands and wives, friends and lovers. The words on the note folded around the check in his wallet read: Here’s $500. A retainer. I need your help. See me today. The note and the money were from Alexander Kingbird, although it was signed Kakaik, which was the name of an Ojibwe war chief. It meant Hawk. Five hundred dollars was a pretty sound enticement, but Cork O’Connor would have gone for nothing, just to satisfy his curiosity. Although the note didn’t mention Kingbird’s situation, it was easy to read between the lines. In Tamarack County, unless you were stupid or dead you knew that Alexander Kingbird and the Red Boyz were in trouble. How exactly, Cork wondered, did Kingbird think he could help? Kingbird and his wife, Rayette, lived on the Iron Lake Reservation. Their home was a nice prefab, constructed to look like a log cabin and set back a hundred yards off the road, behind a stand of red pines. A narrow gravel lane cut straight through the trees to the house. 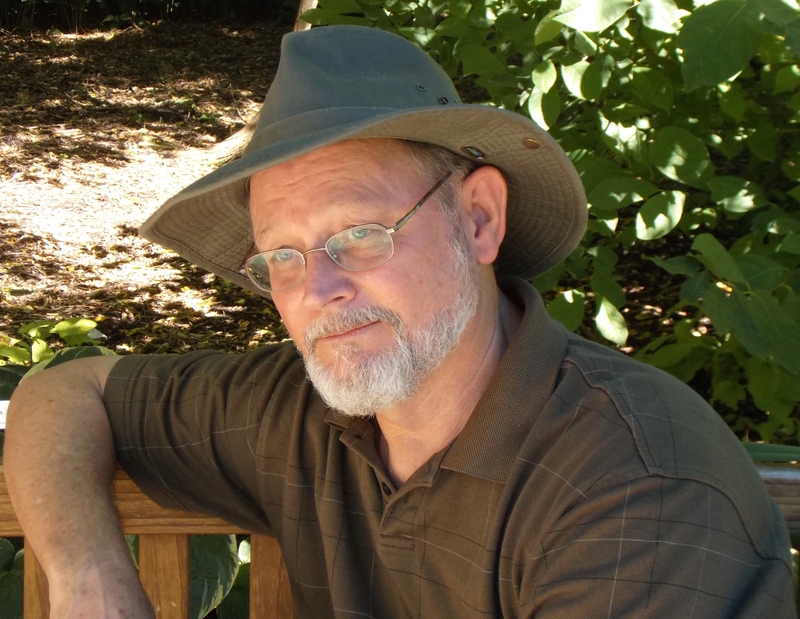 As Cork drove up, his headlights swung across a shiny black Silverado parked in front. He knew it belonged to Tom Blessing, Kingbird’s second-in-command. It was Blessing who’d delivered the note that afternoon. And it was Blessing who opened the door when Cork knocked. He wasn’t much more than a kid, twenty-one, maybe twenty-two. Long black hair falling freely down his back. Tall, lean, tense. He reminded Cork of a sapling that in the old days might have been used for a rabbit snare: delicately balanced, ready to snap. “The note said today. It’s still today, Tom,” Cork said. Each of the Red Boyz, on joining the gang, took the name of an Ojibwe war chief. “Let him in.” The order was delivered from behind Blessing, from inside the house. Blessing stepped back and Cork walked in. He was twenty-five, by most standards still a young man, but his eyes weren’t young at all. They were as brown as rich earth and, like earth, they were old. He wore his hair in two long braids tied at the end with strips of rawhide, each hung with an owl feather. A white scar ran from the corner of his right eye to the lobe of his ear. Cork had heard it happened in a knife fight while he was a guest of the California penal system. Blessing hesitated. Maybe he was working on an argument; if so, he couldn’t quite put it together. He finally nodded, turned, and left. A minute later, Cork heard the Silverado’s big engine turn over, followed by the sound of the tires on gravel. Everything got quiet then, except for a baby cooing in a back room and the low, loving murmur of a woman in response. “No problem.” Cork slipped his Salomons off and set them beside a pair of Red Wing boots and a pair of women’s Skechers, which were on a mat next to the door. Cork took a comfortable-looking easy chair upholstered in dark green. Kingbird sat on the sofa. “You know why you’re here?” he said to Cork. Kingbird sat tall. He wore a green T-shirt, military issue it looked like. On his forearm was a tattoo. A bulldog—the Marine Corps devil dog—with USMC below. Rayette Kingbird strolled into the room carrying her child. Misty had been born six months earlier. When Alexander Kingbird looked at his wife and his daughter, his face softened. She smiled. She was full-blood Ojibwe. Her life before Kingbird had been hard. Abandoned by her mother and raised by her grandparents, she’d been into every kind of trouble imaginable. When Cork was sheriff of Tamarack County, he’d picked her up a few times, juvenile offenses. She’d skipped childhood through no fault of her own and he’d thought that any youth she might have had had been squeezed out long ago. Then she met Kingbird and married him and things changed. She looked young and she looked happy. Rayette held the baby out and Kingbird took his daughter. He nuzzled her neck. She gurgled. He kissed her forehead. She squirmed. “Night, little turtle,” he said. He handed her back to his wife. Rayette left with the child. Kingbird looked after them a moment, then turned to Cork.